The Mail on Sunday ran a piece exploring the scope of fly-tipping in England, and the number of people prosecuted for the crime. Reporters Ben Ellery and Nic North say that in 2017/18, one in 450 incidents result in a prosecution. Local councils have the power to issue fixed penalty notices for small scale fly-tipping – a more efficient and proportionate alternative to prosecutions. We have issued guidance to councils on how to use these powers in a fair and proportionate manner. The latest figures show our actions to crack down on fly-tippers are delivering results, with no increase in the number of incidents for the first time in five years. 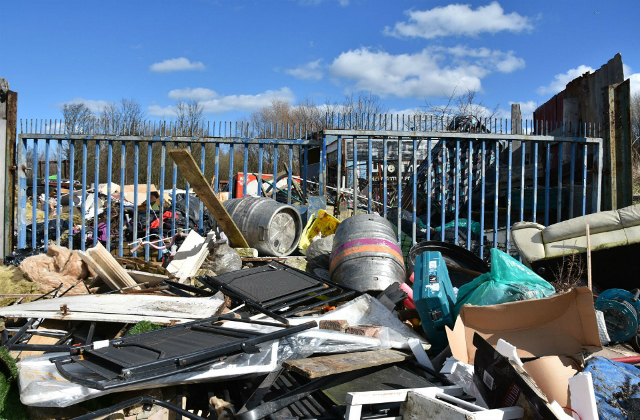 Councils are using powers to hand out on-the-spot fines to fly-tippers to good effect, and we have made it easier for vehicles suspected of being used for fly-tipping to be stopped, searched and seized. We also recently introduced new fixed penalty notices for householders who pass their waste to a fly-tipper, as we continue our efforts to crack down on those who blight our landscapes. There was a decrease of 1% in fly-tipping incidents for 2017/18, following annual increases since 2013/14. Total incidents involving household waste decreased by 4 and the number of fly-tipping incidents on highways decreased by 7%. Over the same time period, local authority enforcement actions increased by 4%, and the number of fixed penalty notices issued by councils went up by 20%. We recently published an ambitious Resources and Waste Strategy to overhaul our waste system. This sets out a new strategic approach to tackling crime, focusing on preventing it from happening in the first place, detecting it when it does occur, and deterring would-be criminals and poor performers from engaging again.